Listen to Part 2 of the broadcast. 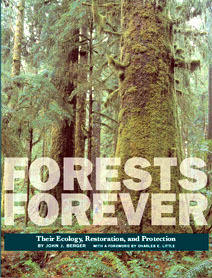 KMUD Monday Morning Magazine with Forests Forever Advocate Richard Gienger broadcast June 29, 2015. Forests Forever Executive Director Paul Hughes is special in-studio guest on the "Unspun Show" with host Doug Bennett on KKRN 88.5 FM Community Radio in Round Mountain, Calif. Broadcast in conjunction with the Forum for the Forest conference in Redding held on Feb. 11, 2012. Co-host Dr. Doug Craig, a blogger at Climate of Change as well as a clinical psychologist, makes the connections between logging, corporate influence and climate change. Listen to Forests Forever Executive Director Paul Hughes interviewed on KPFA 94.1 FM discussing the state Air Resources Board's decision to allow forest clearcutting as a means of capping CO2 emissions. Hughes also discusses devastating budget cuts to timber harvest inspections in California. Radio station KUKI 103.3 FM (Ukiah), serving Mendocino and Lake counties, aired the first interview with Forests Forever Executive Director Paul Hughes on Nov. 26, 2002. This segment of the station’s weekly “Issues and Answers” program centered mostly on a state-proposed scheme to continue and expand industrial-scale clearcutting at taxpayer-owned Jackson State Forest, near Willits. The plan was later halted through lawsuits, including one filed in October 2002 in which Forests Forever Foundation was a leading co-plaintiff. In a short KPFA 94.1 FM (Berkeley) interview in 2003 Hughes blasts an attempt by the administration of President George W. Bush to weaken rules protecting fish, wildlife, and other environmental values on federal forestlands. Take action to protect California's forests! LIKE US IF YOU LOVE US! Stay on top of the latest in forest news!